This is an acrylic painting. It was painted on paper and mounted on a hardboard panel. The painting measures 10″x 8″. 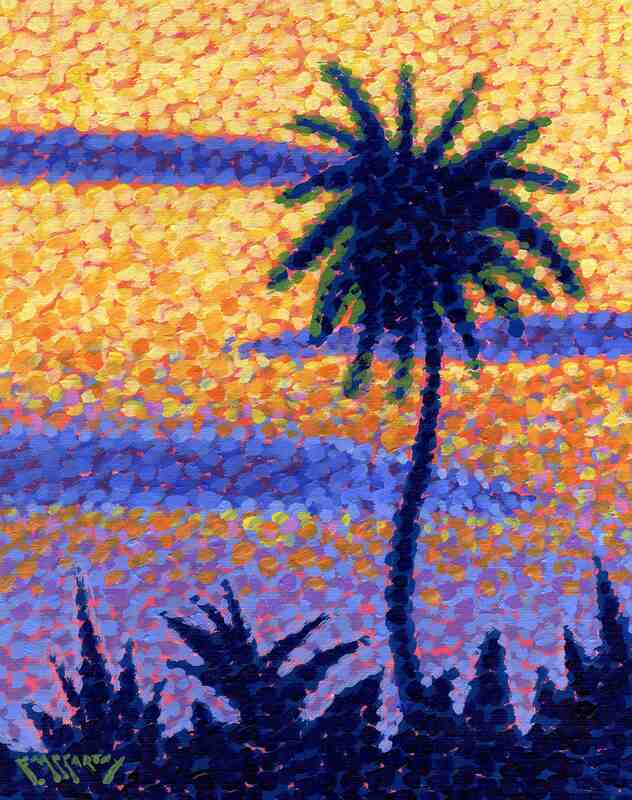 This pointillist painting depicts a Florida palm tree at sundown. Inspired by my time spent in Florida. This pointillistic painting is being sold unframed.